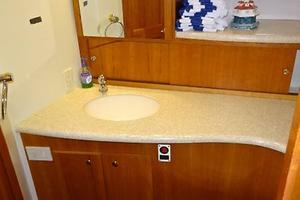 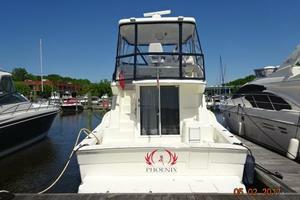 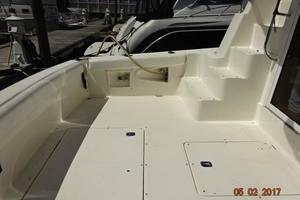 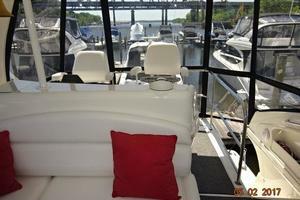 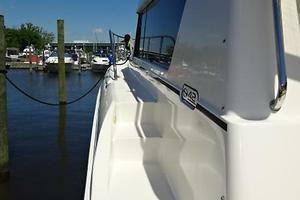 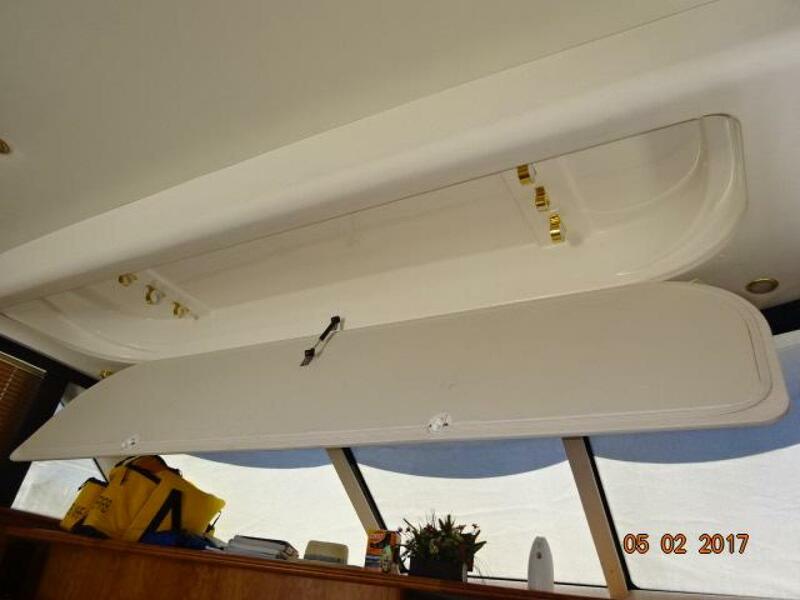 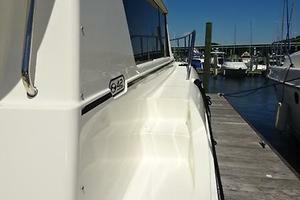 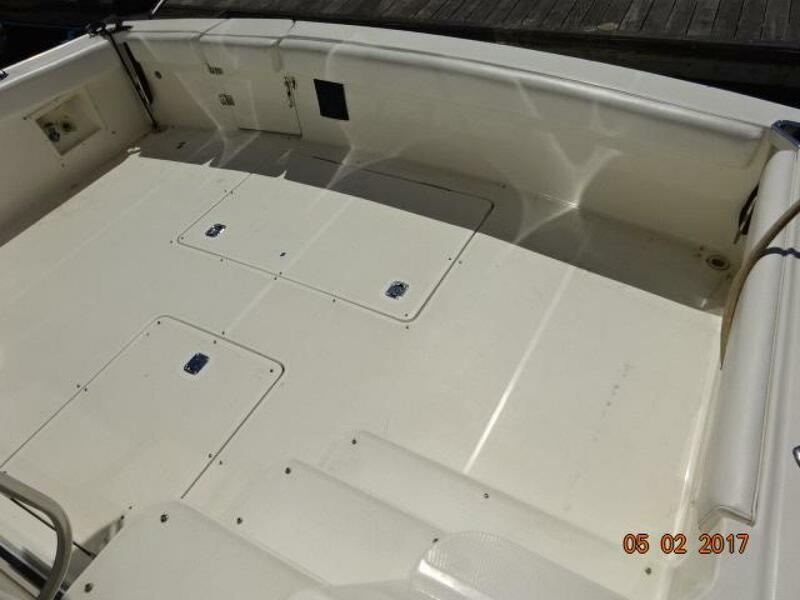 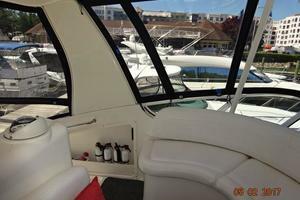 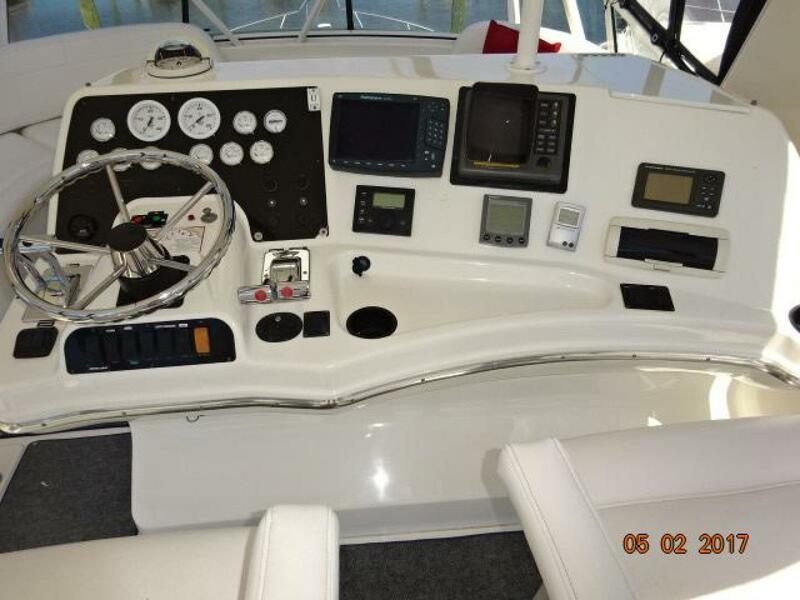 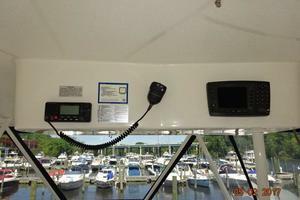 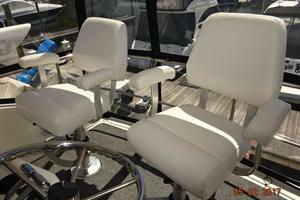 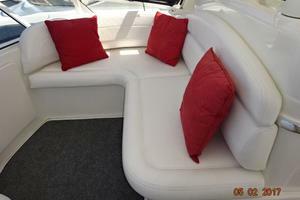 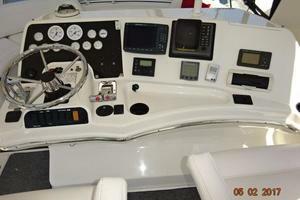 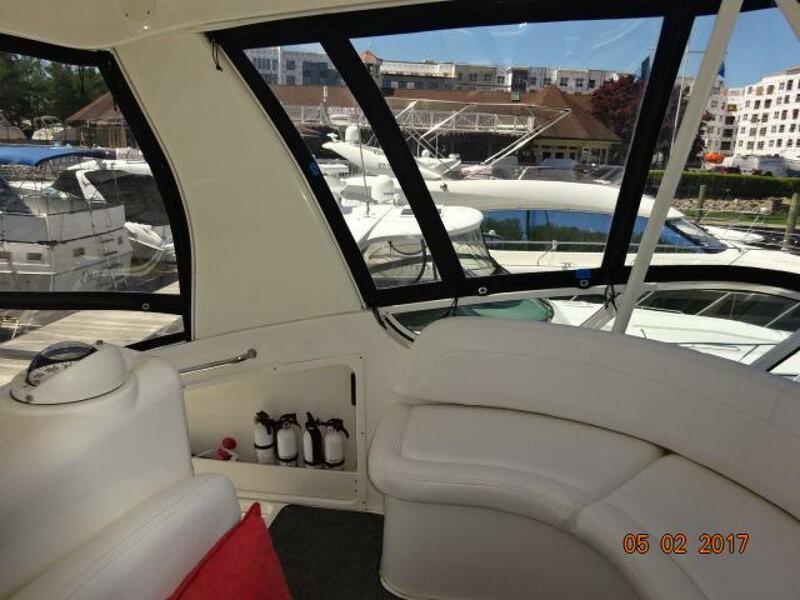 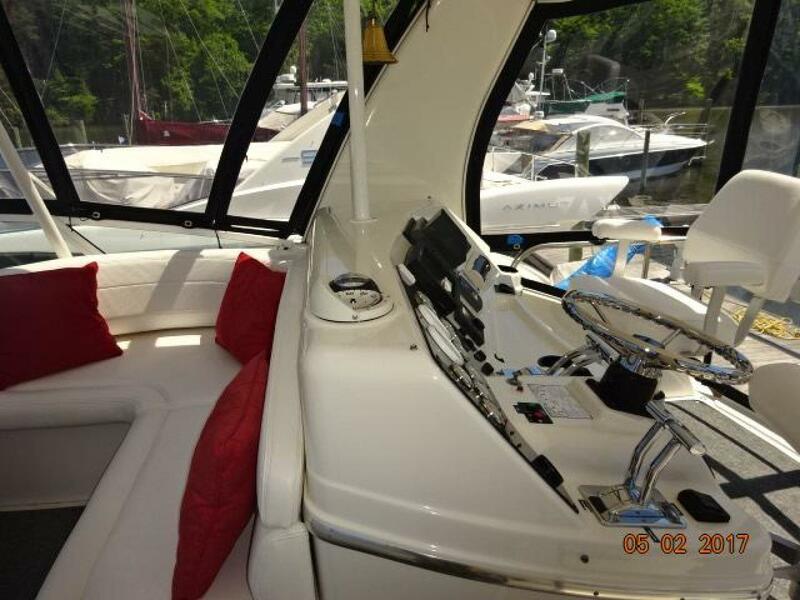 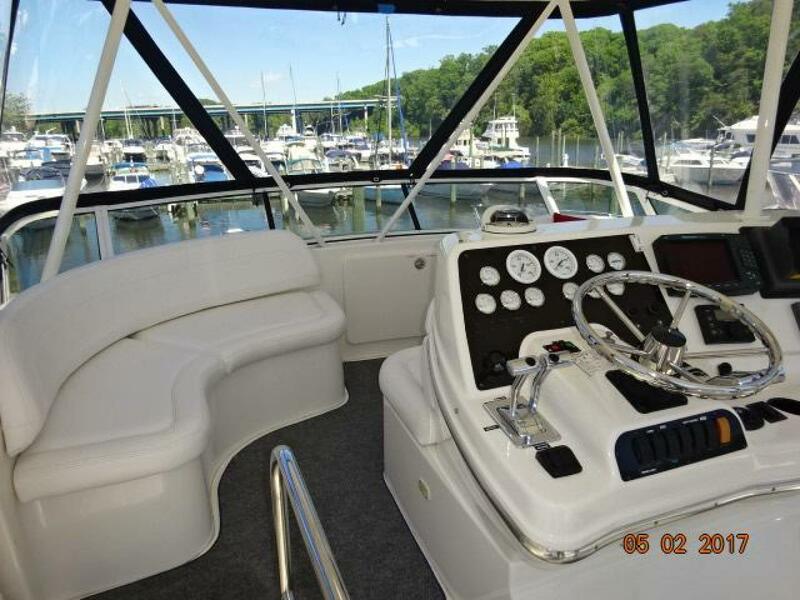 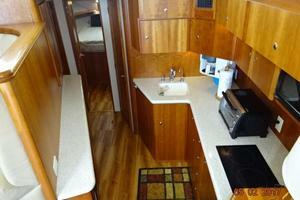 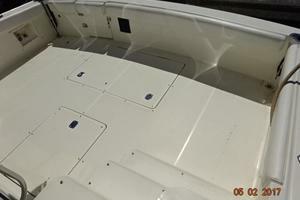 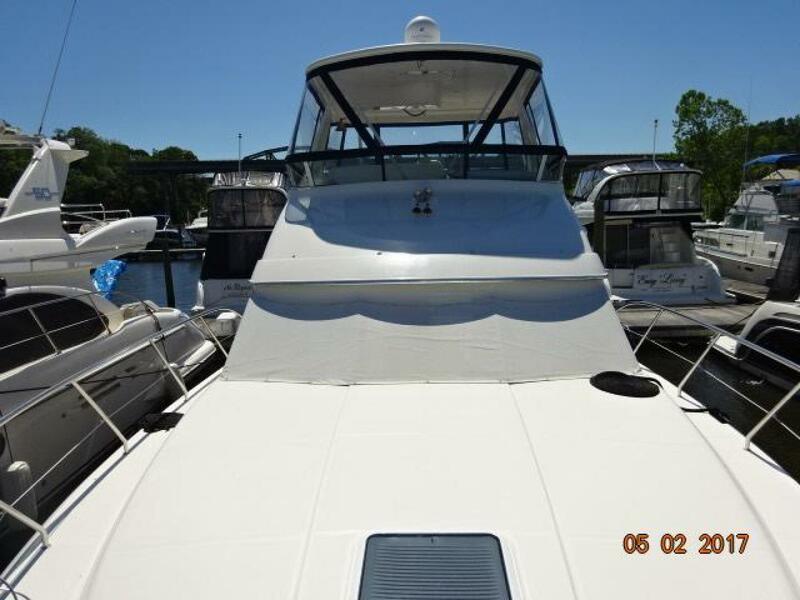 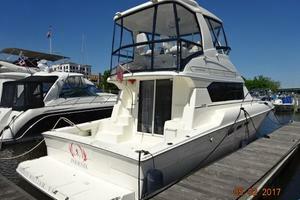 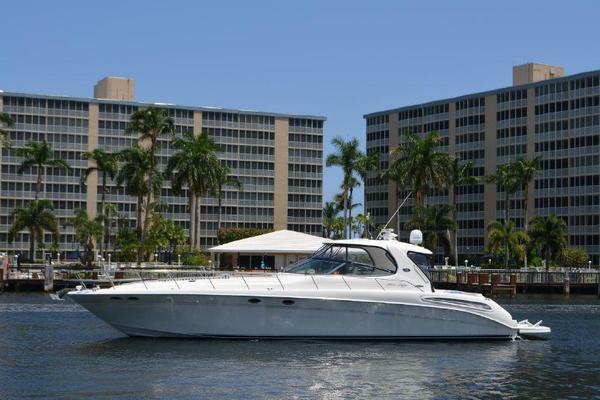 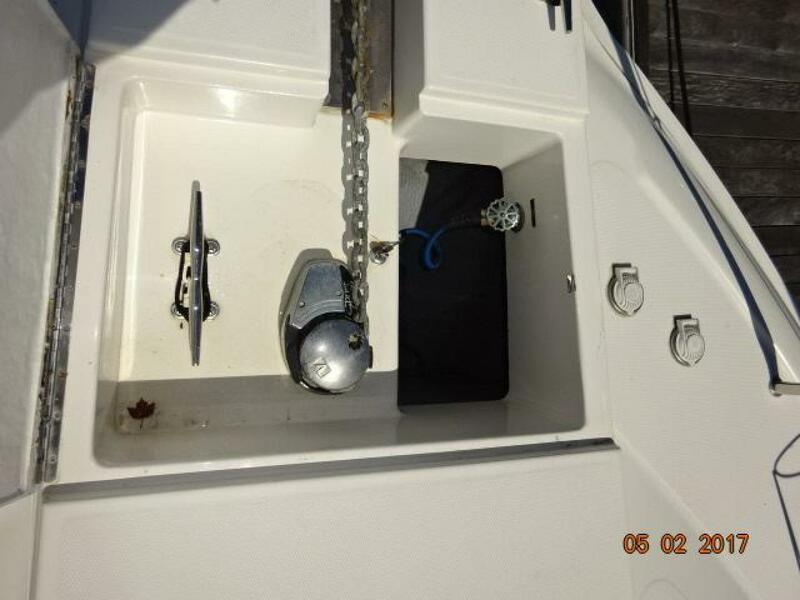 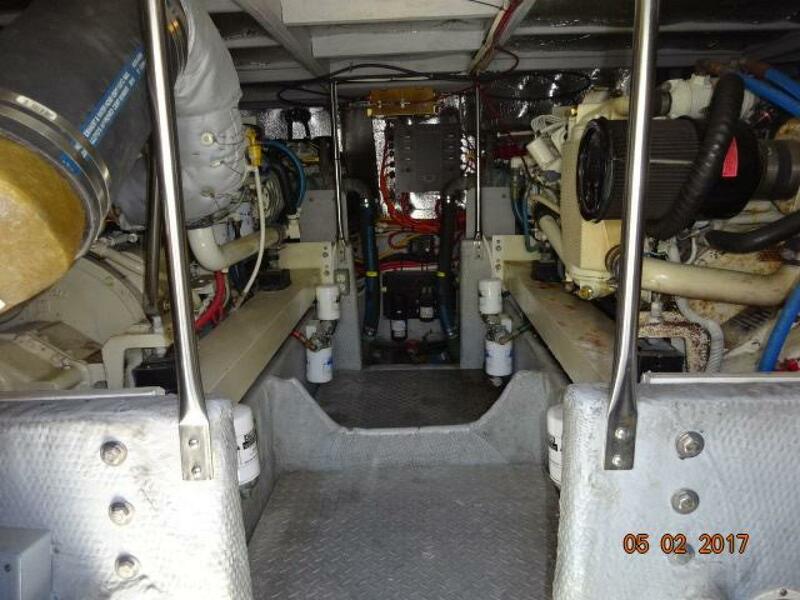 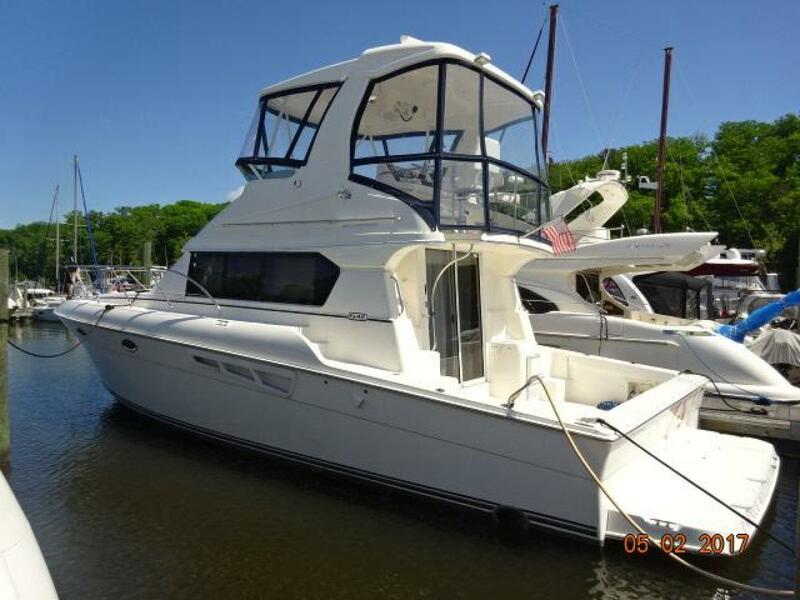 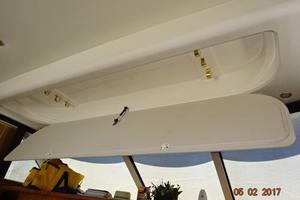 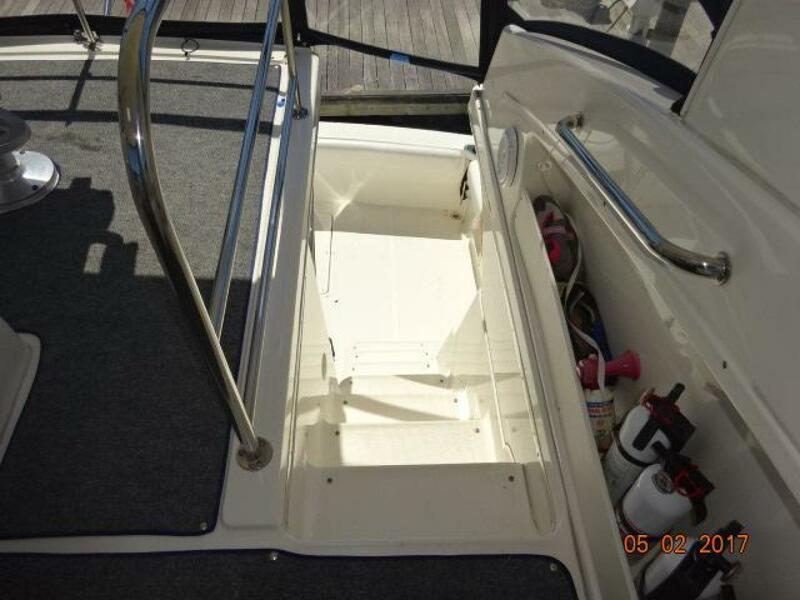 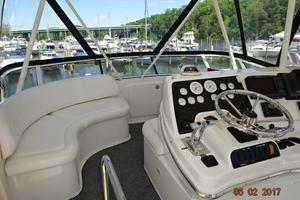 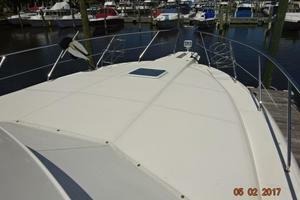 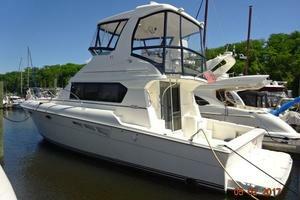 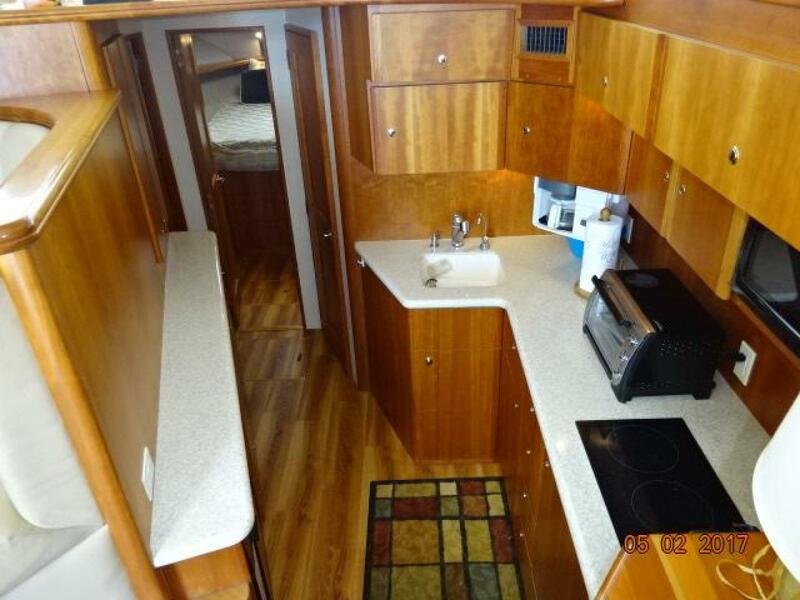 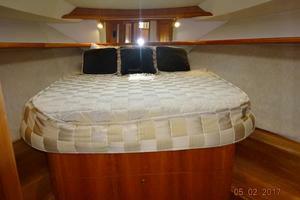 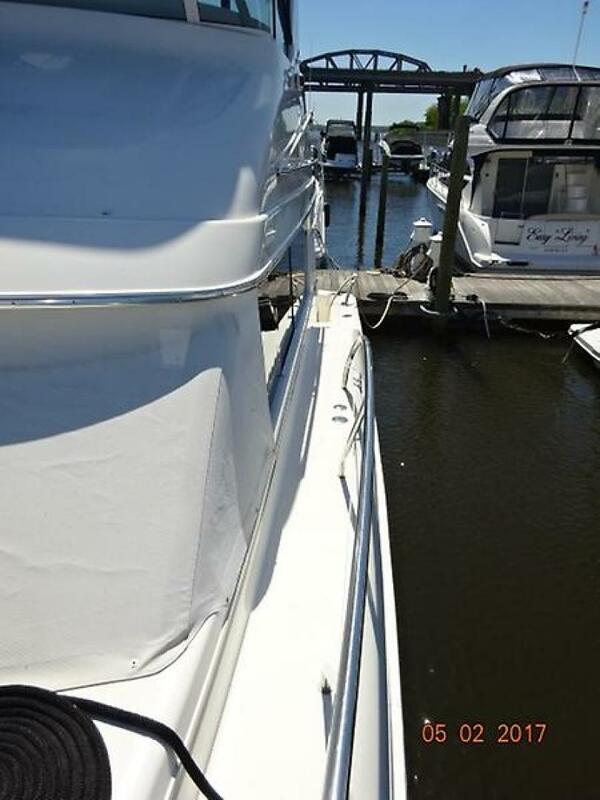 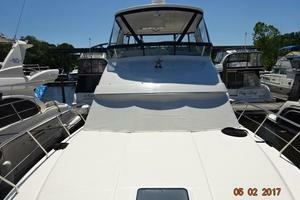 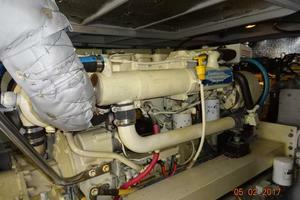 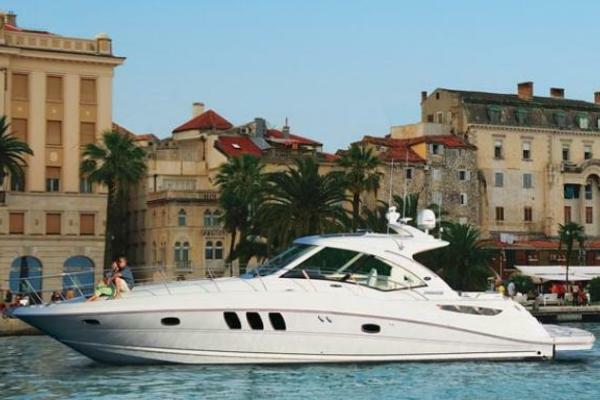 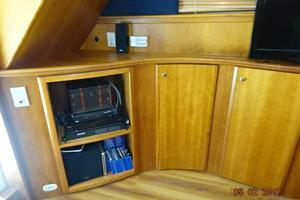 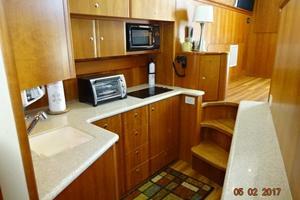 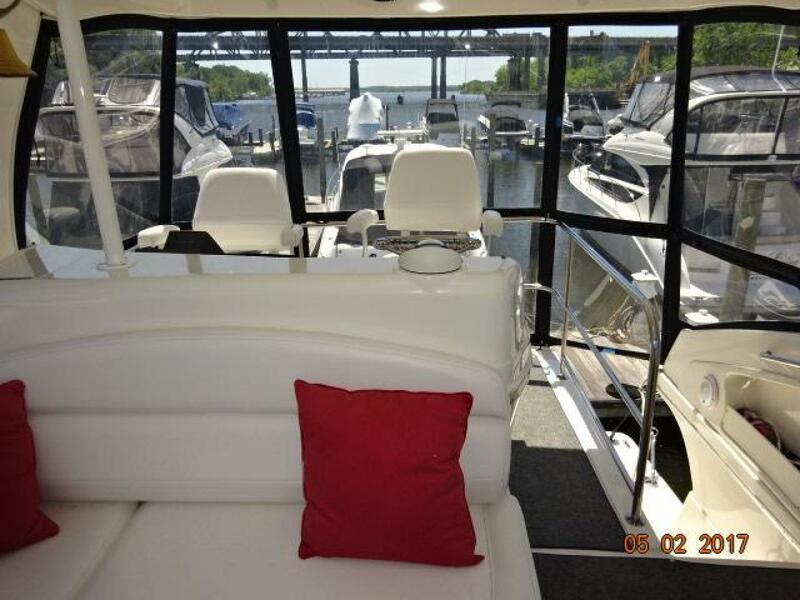 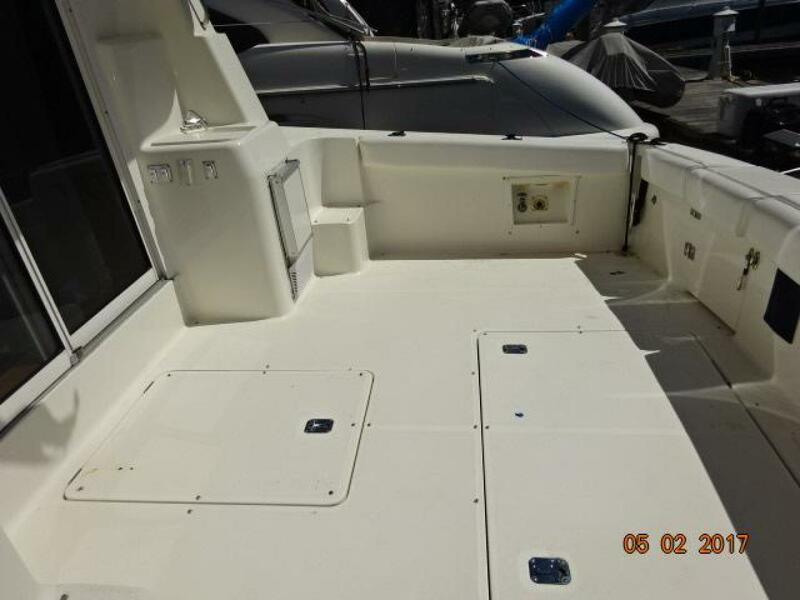 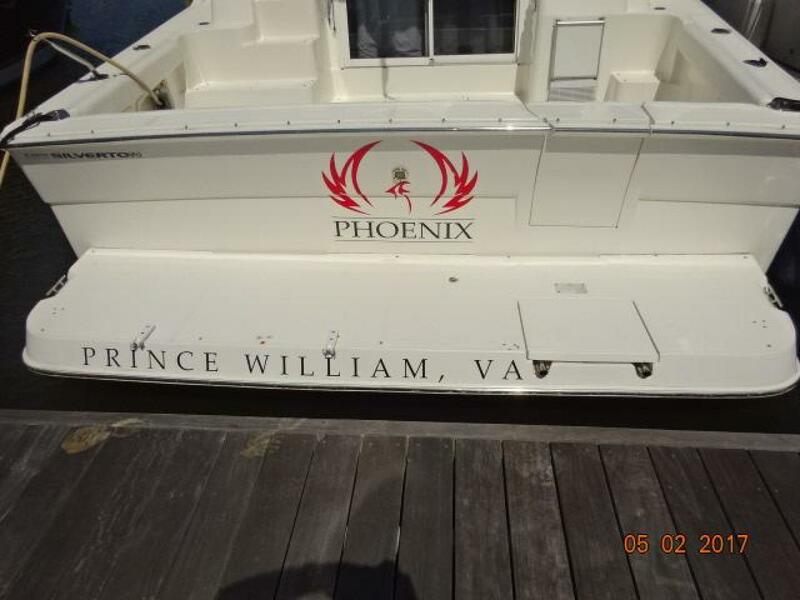 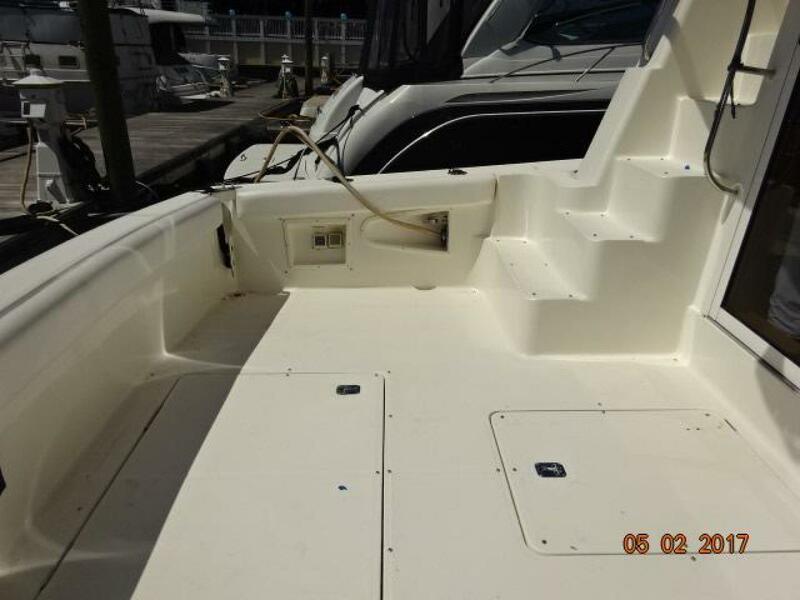 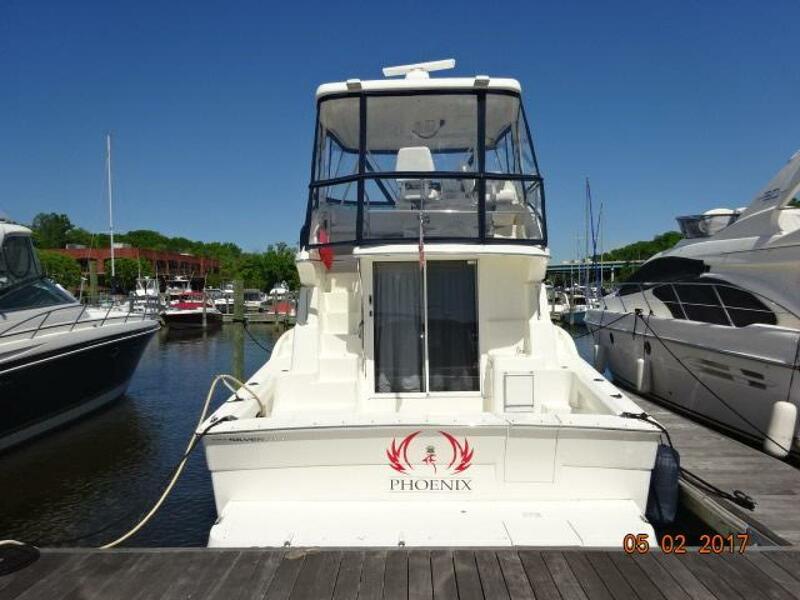 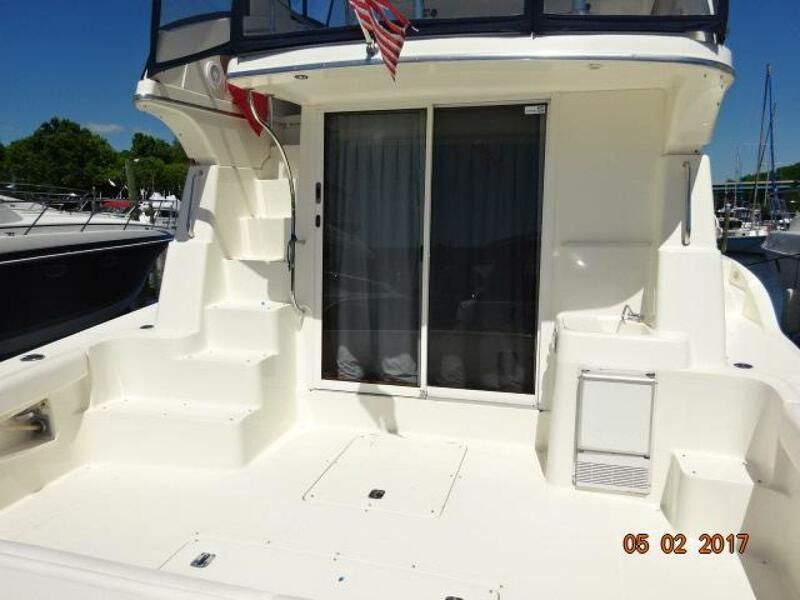 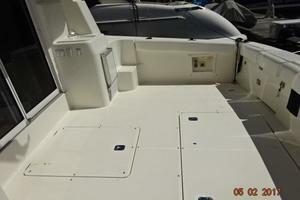 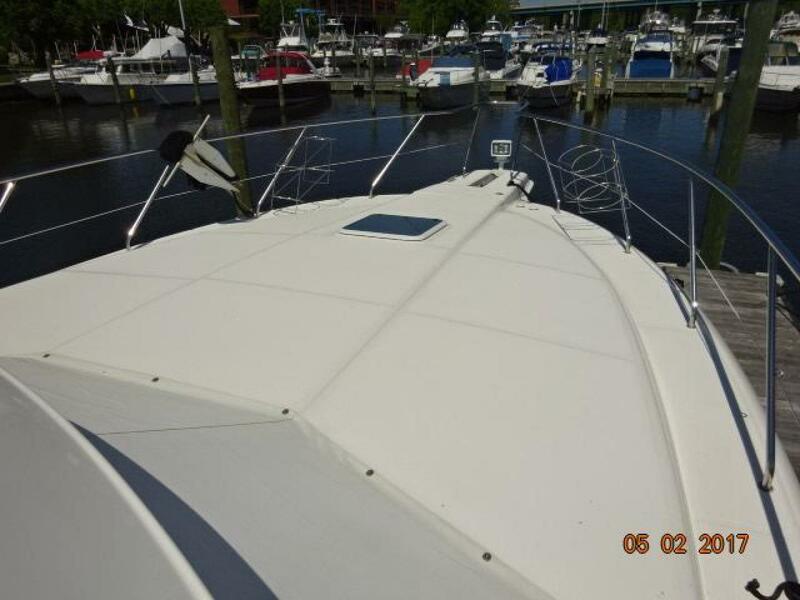 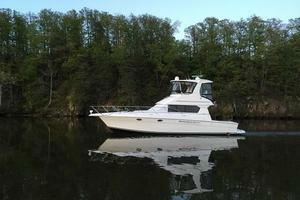 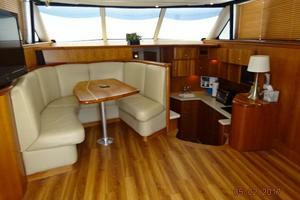 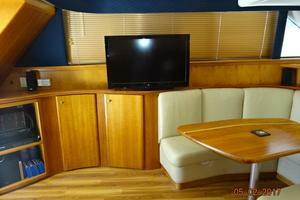 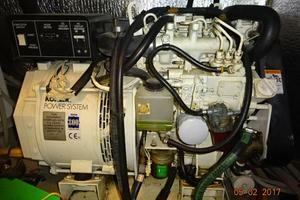 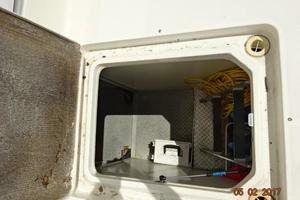 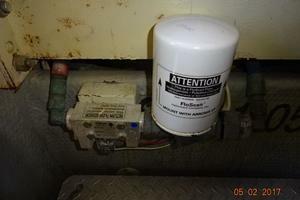 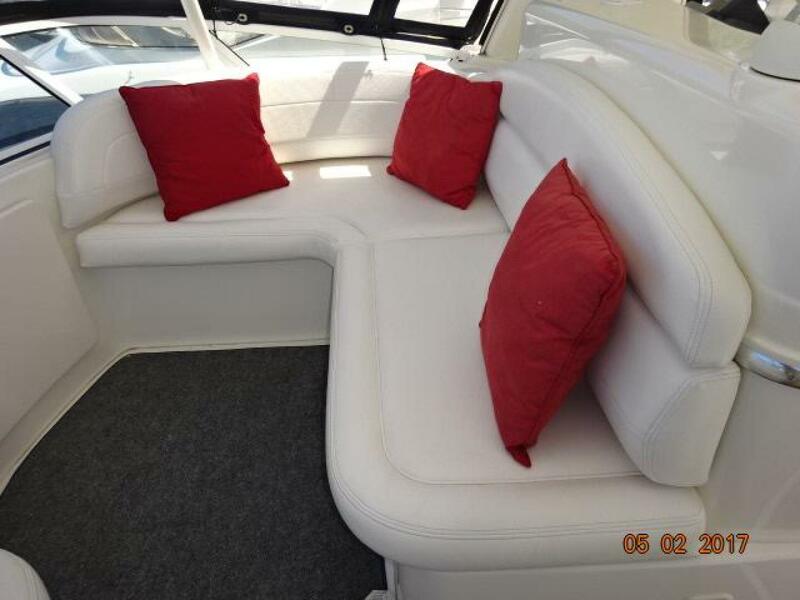 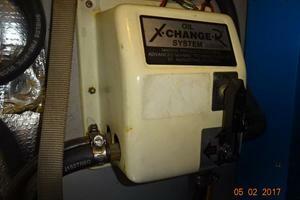 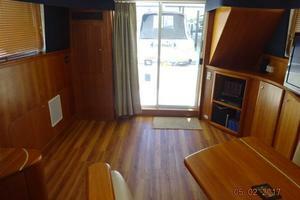 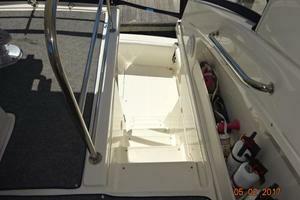 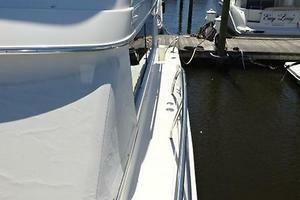 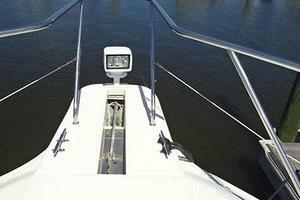 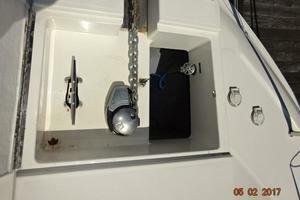 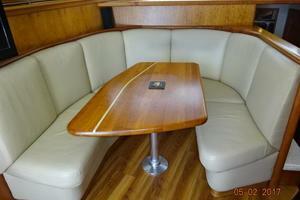 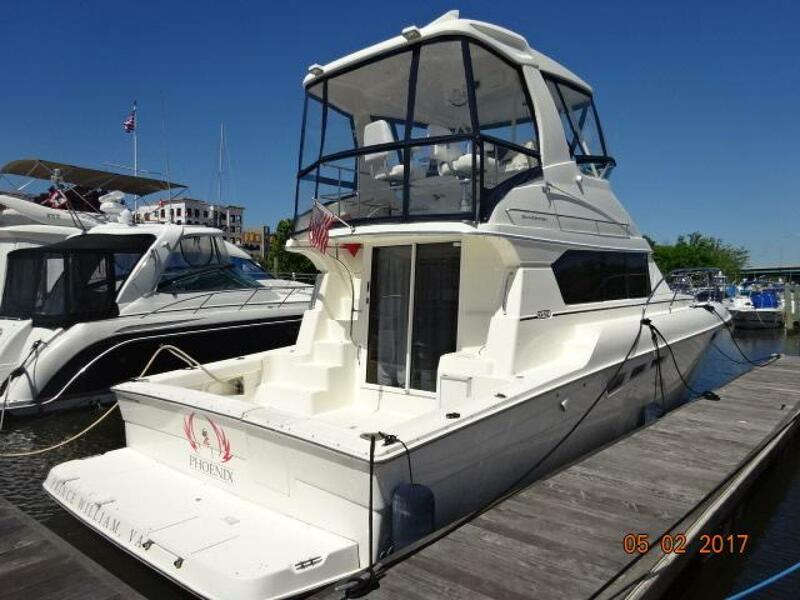 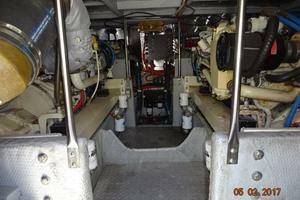 Phoenix is a 2001 42' Silverton in very nice condition. She offers twin Cummins 370 hp main engines, Kohler 8 kW generator, bowthruster, molded-in steps from the cockpit to the flybridge, a very popular interior layout and a satellite TV system. 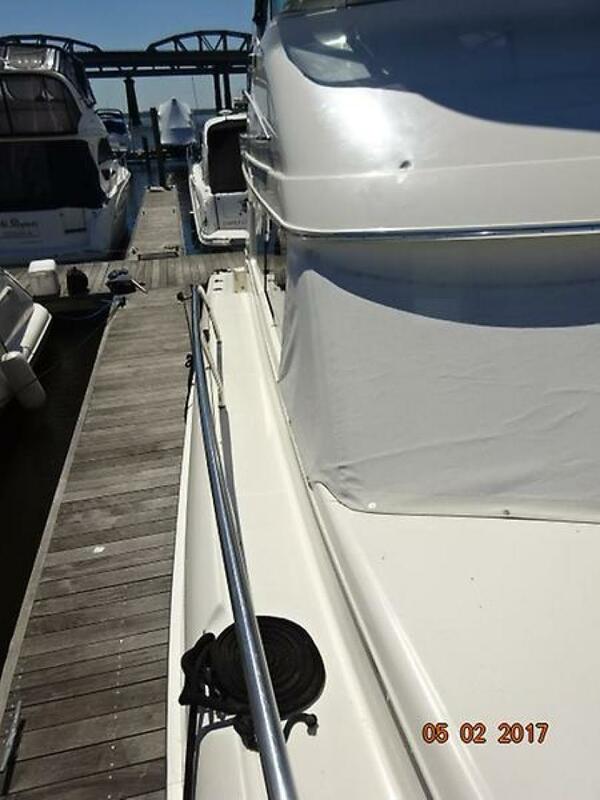 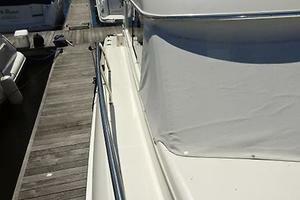 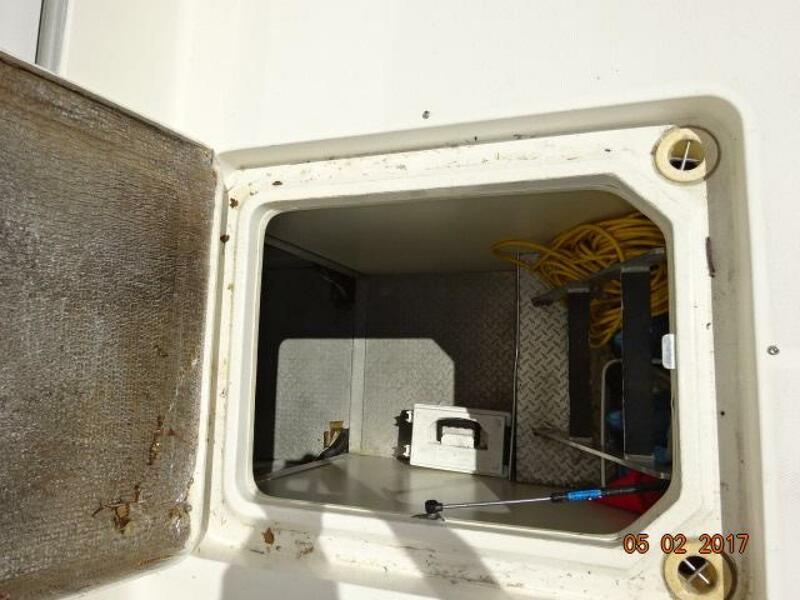 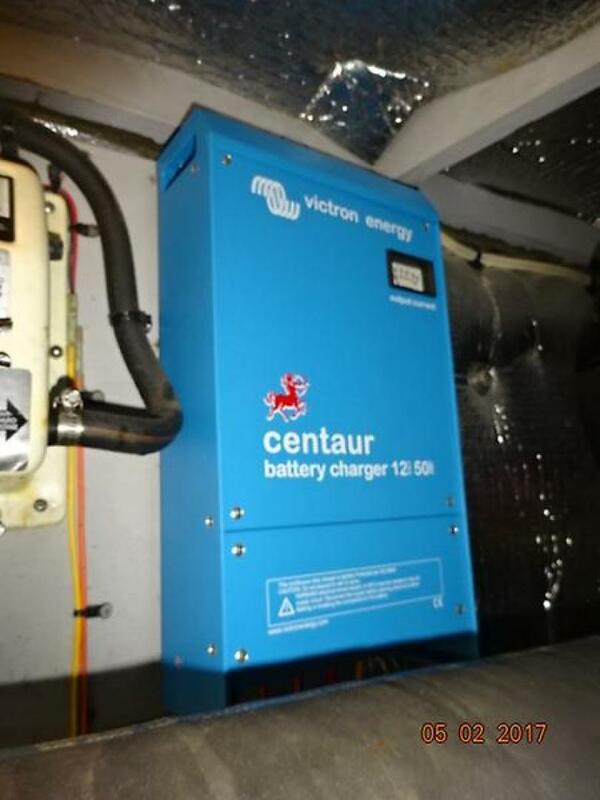 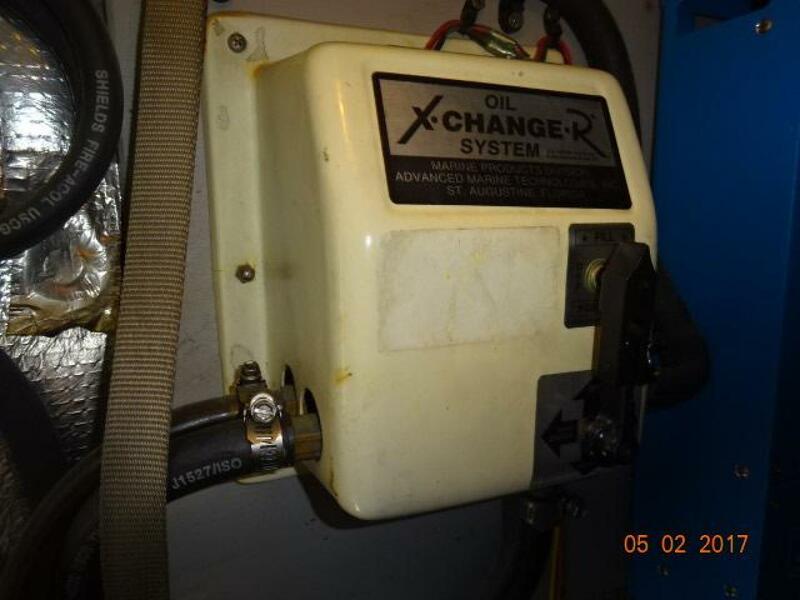 Her sellers are just too busy at work to use her as much as they would like and they are two boat owners, so it is time to reduce the size of the fleet. 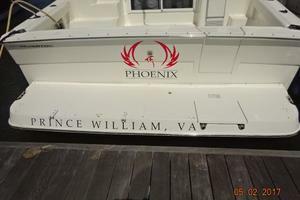 Phoenix is Great Loop capable. 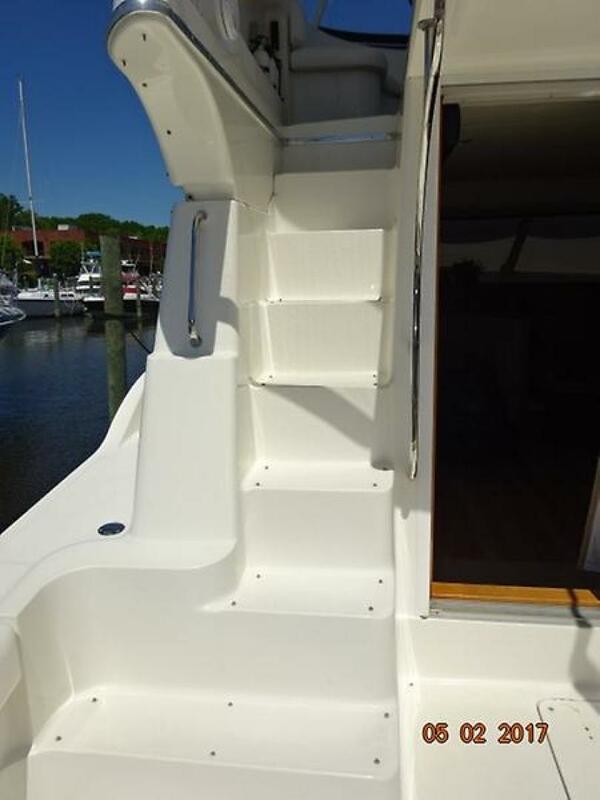 From the fiberglass swimplatform, you enter the cockpit through a transom door and step up molded-in steps to either side deck or the flybridge or walk into the salon through the sliding aluminum and glass door. 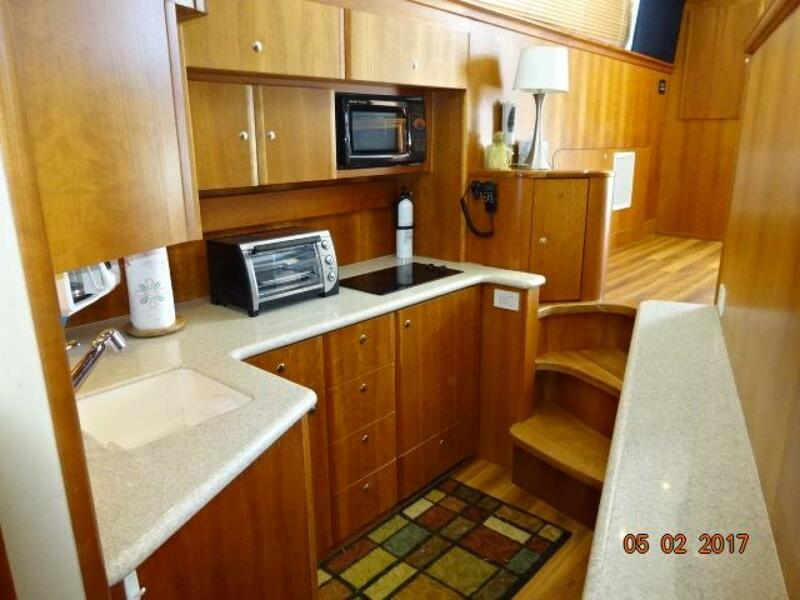 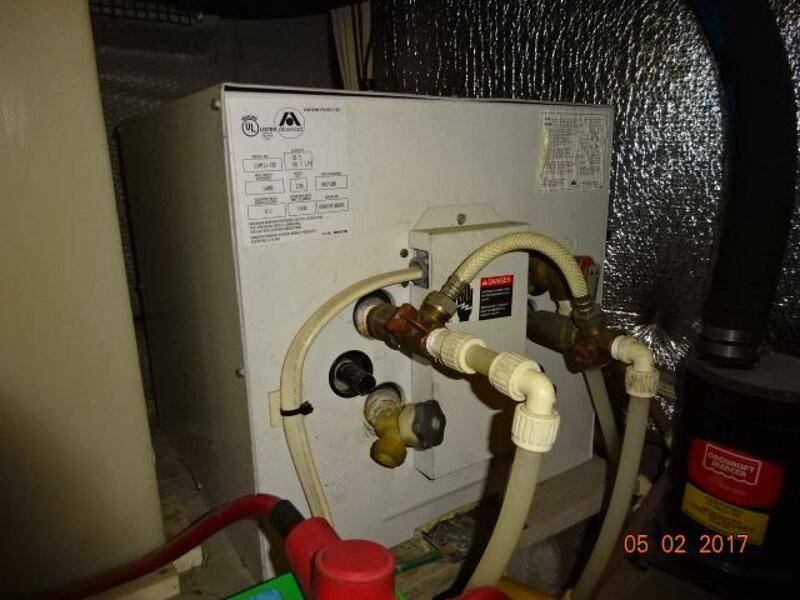 Once inside the salon, you will find the entertainment center and cabinetry port aft, settee port forward, storage cabinetry starboard aft and space for lounge chairs to starboard. 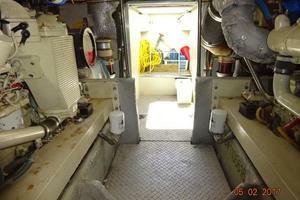 Walking forward, you step down two steps into the galley. 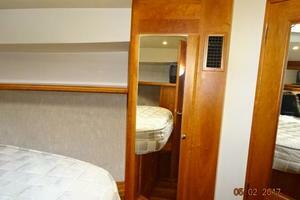 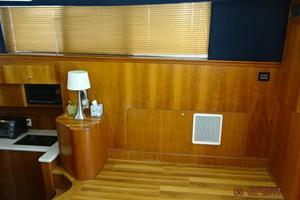 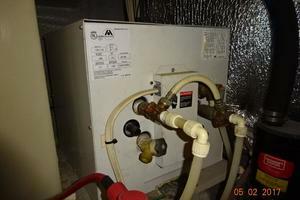 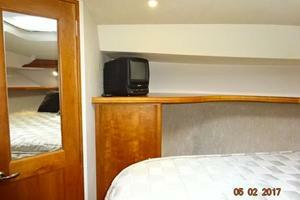 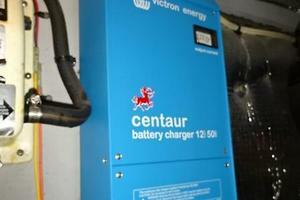 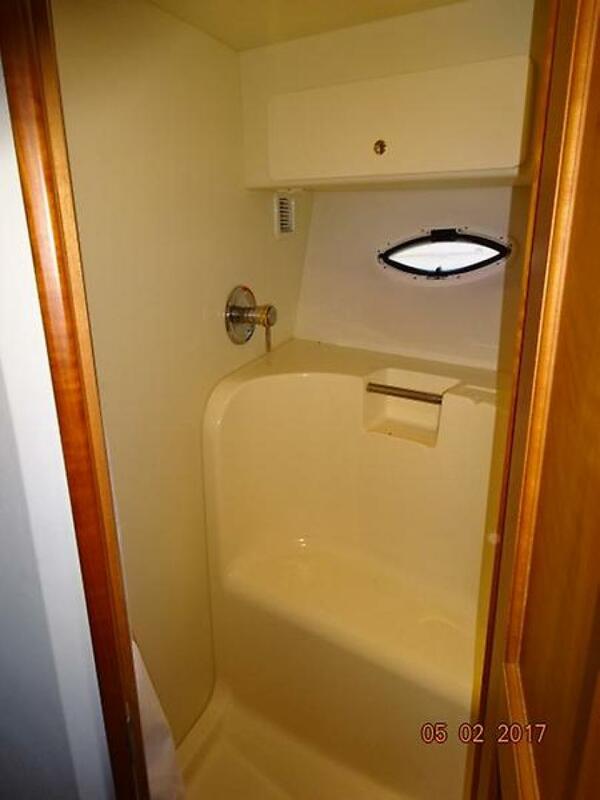 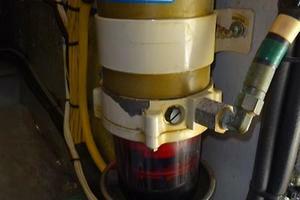 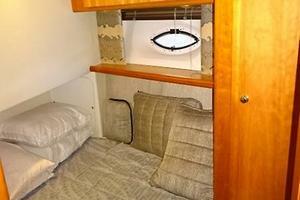 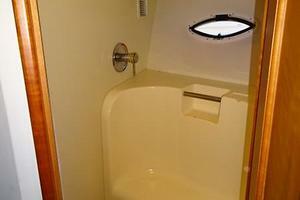 The guest stateroom is to port, head is starboard forward, the shower port forward and the master stateroom forward. 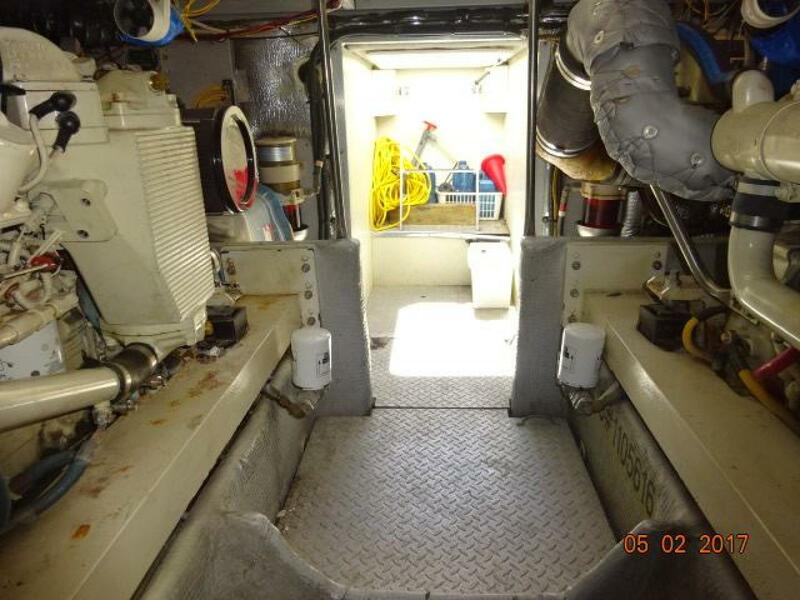 Engine room access is via a deck hatch in the cockpit. 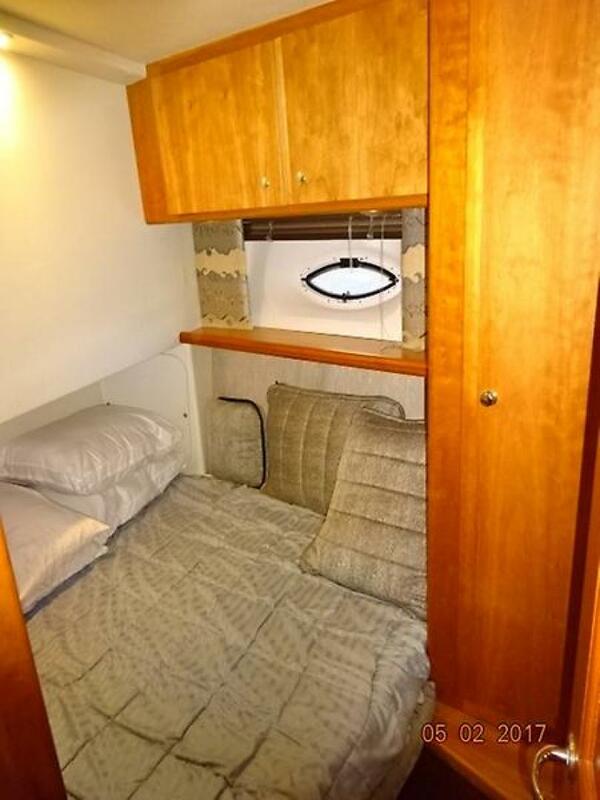 Phoenix offers a master stateroom forward with an island queen sized berth and direct access to the separate head and shower; and a guest stateroom to port with a double size berth. 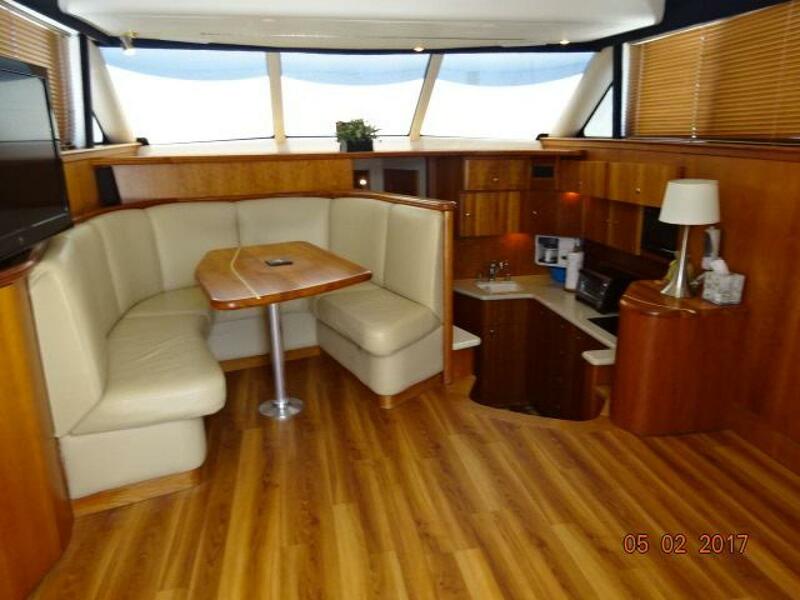 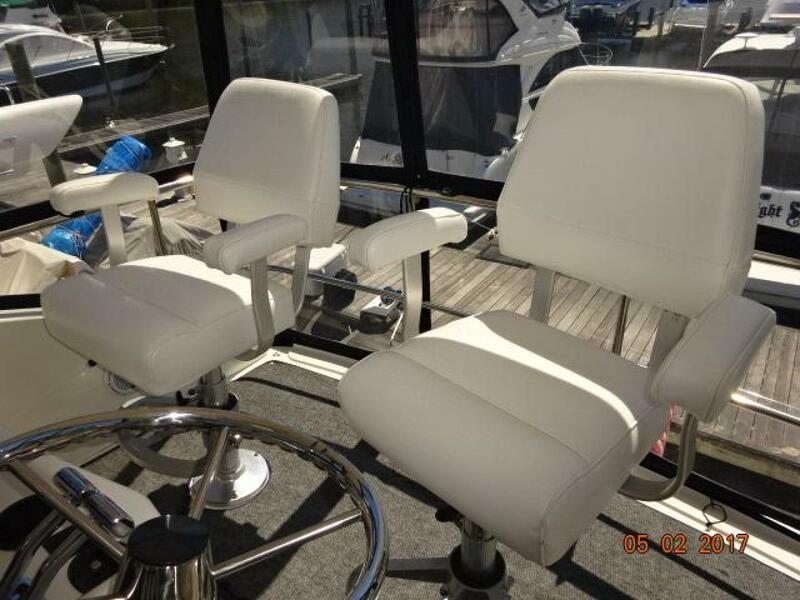 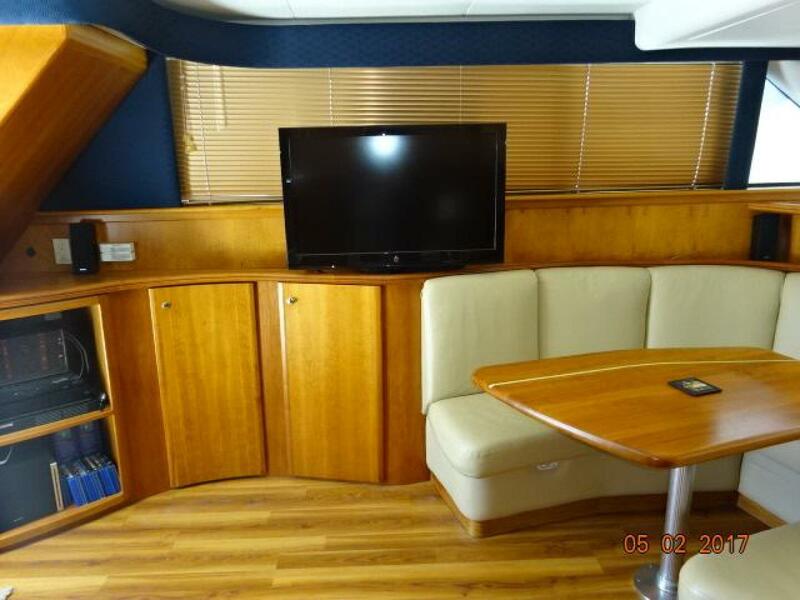 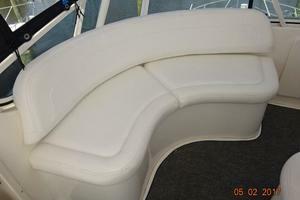 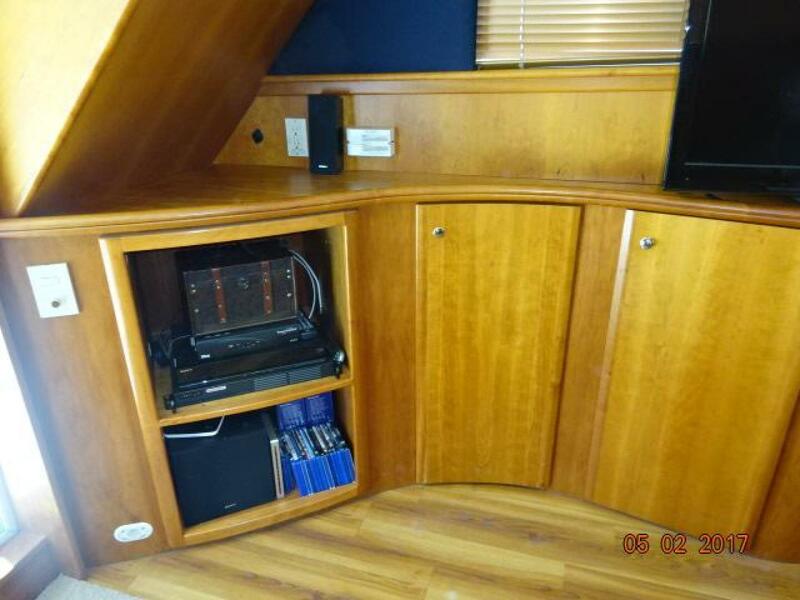 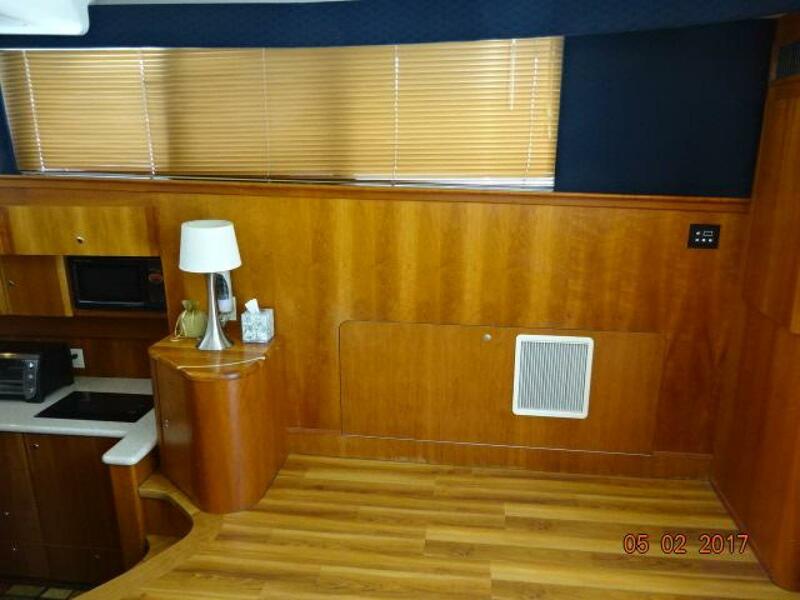 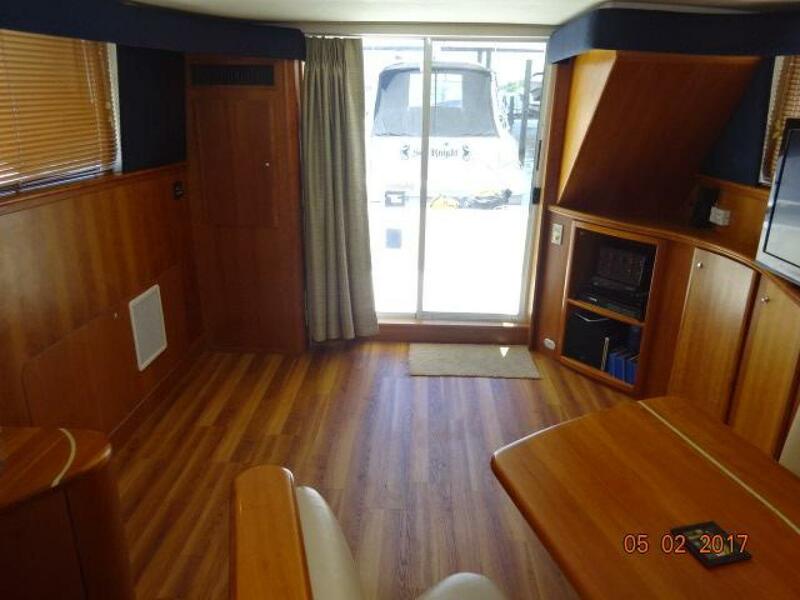 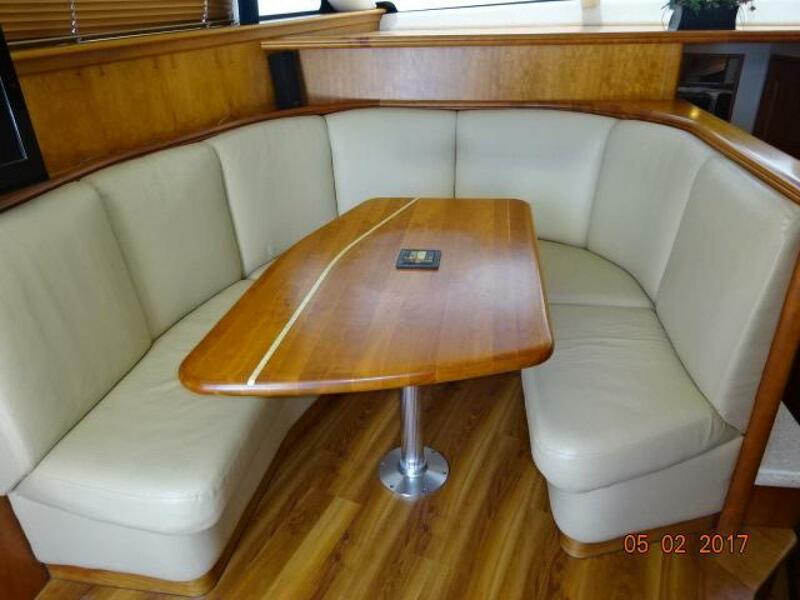 The salon offers a settee with storage port forward, entertainment and storage cabinetry port aft, a storage locker starboard aft, space for lounge chairs to starboard, vinyl wood sole, reading light, opening side windows with blinds and screens and an overhead rod storage locker. 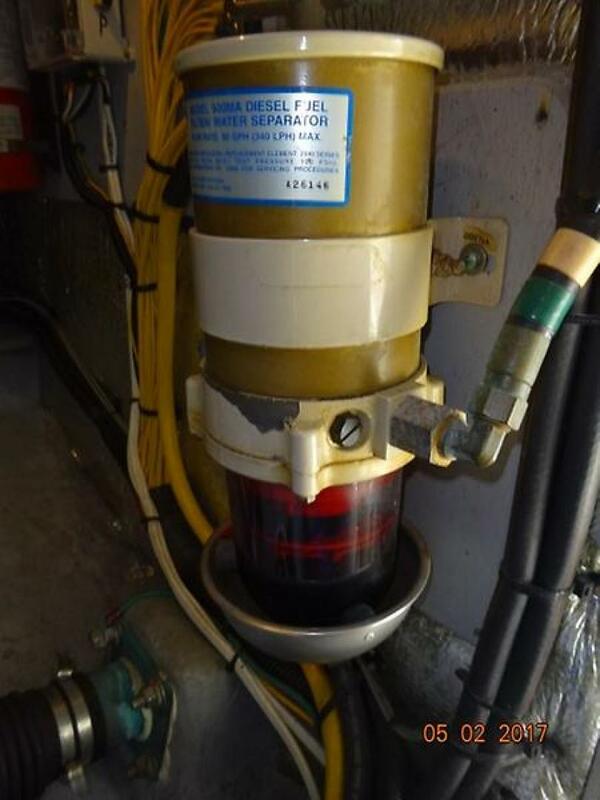 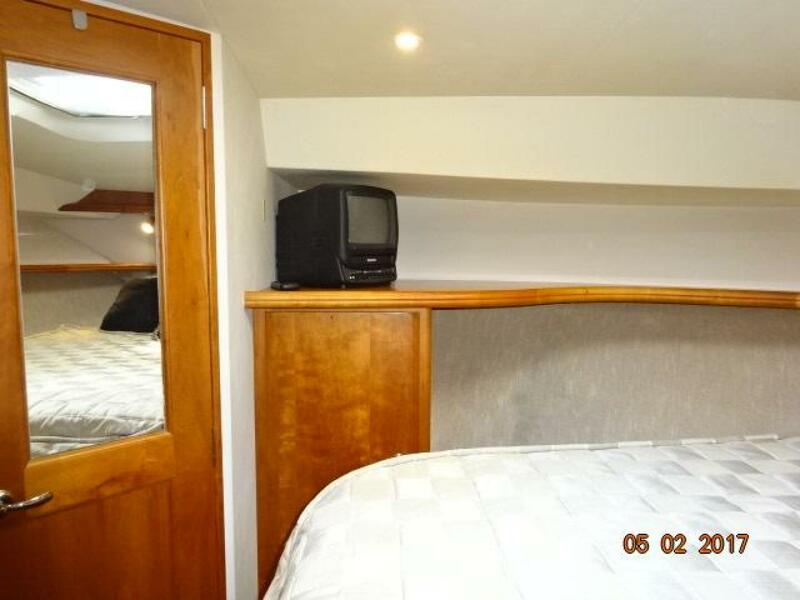 The down galley is starboard forward. 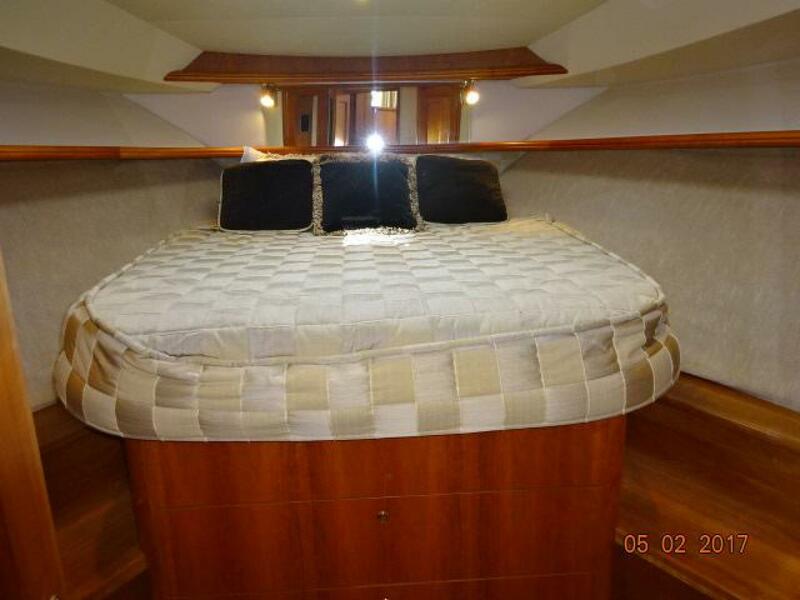 The master stateroom forward offers an island queen size berth, reading lights, shelves, storage drawers and cabinet, hanging locker, overhead hatch, full-length mirror, vinyl wood sole and direct access to the separate head and shower. 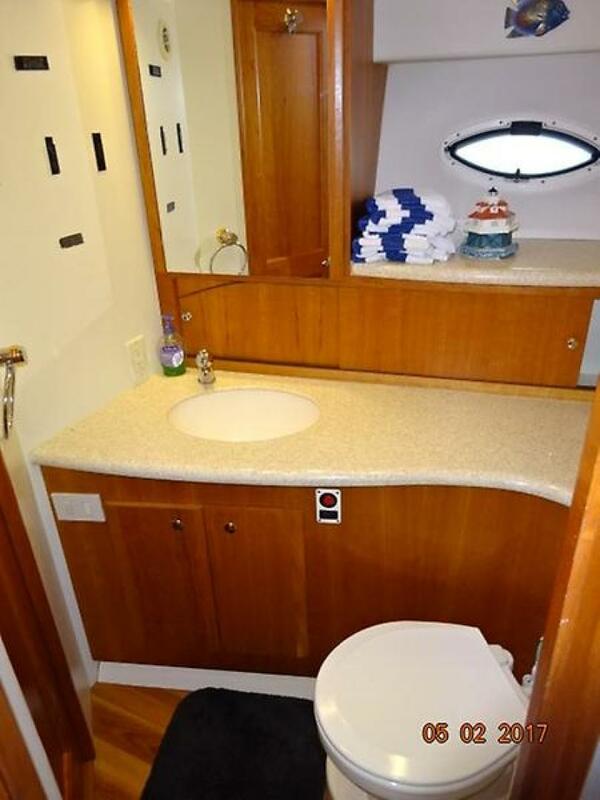 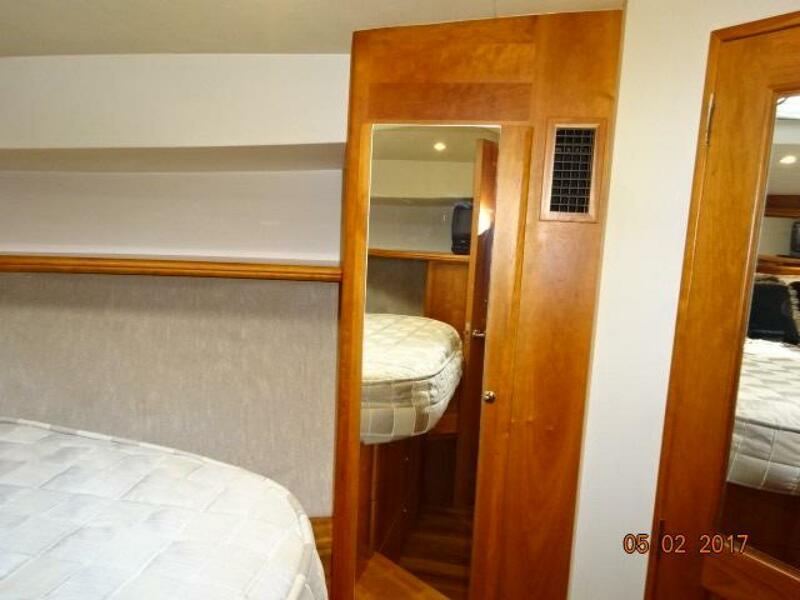 The guest stateroom is to port and offers a double size berth, hanging locker, storage drawer and cabinets, shelf, 2 mirrors, portlight with blinds and direct access to the shower. 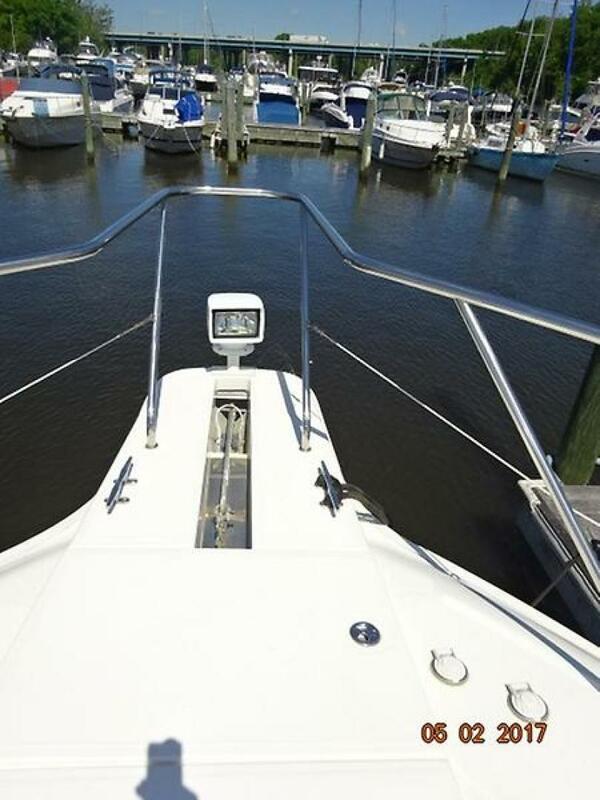 The head is to starboard. 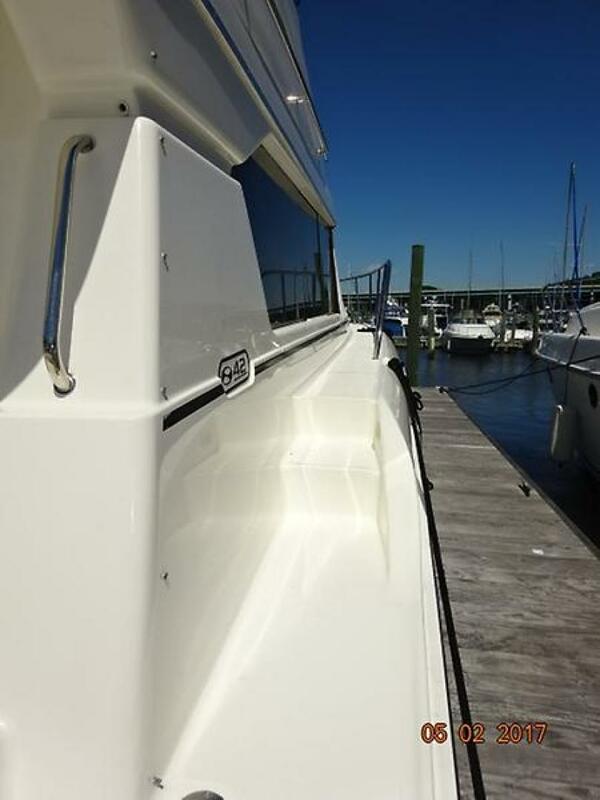 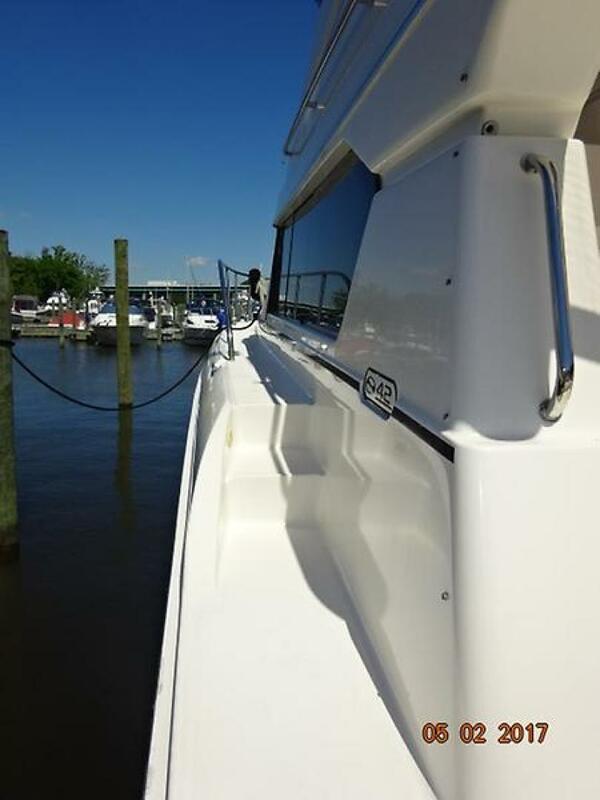 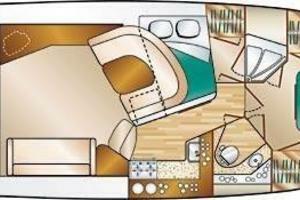 The flybridge offers a hardtop with overhead hatch, full Stratoglass enclosure, wrap-around seating with storage to starboard, benchseat with storage port forward, helm to starboard, 2 Springfield helmseats, bound exterior carpet over non-skid deck and molded-in steps to the cockpit. 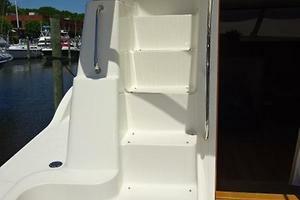 The large cockpit offers a non-skid deck, transom door to the fiberglass swimplatform, coaming cushions, fresh water hot/cold shower, 4 rod holders, wetbar starboard forward with a sink and U-Line icemaker, Magma stainless steel BBQ grill, lazarette access and molded-in steps to the flybridge. 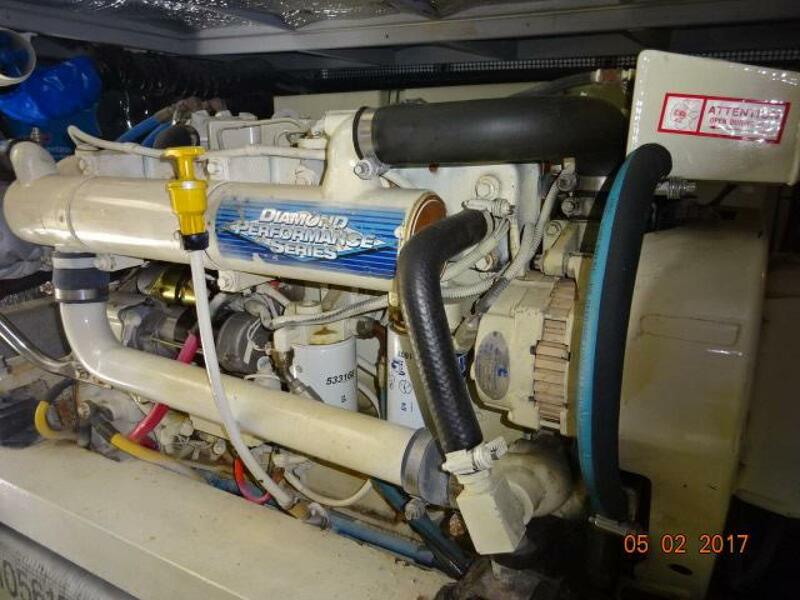 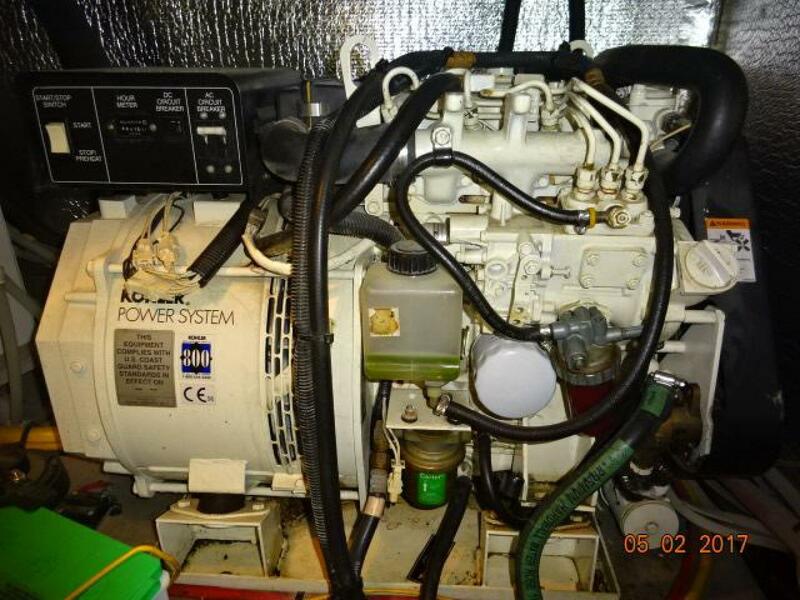 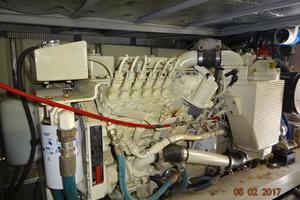 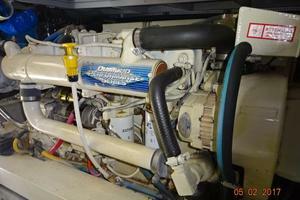 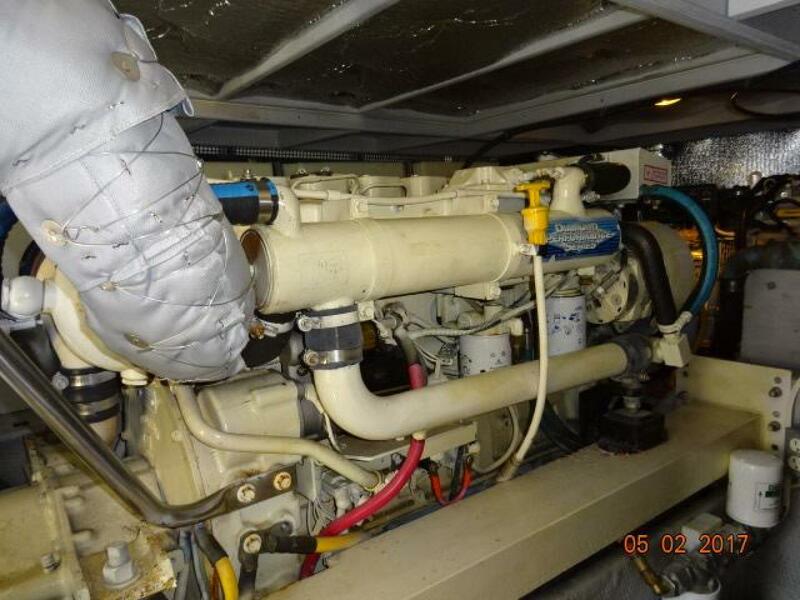 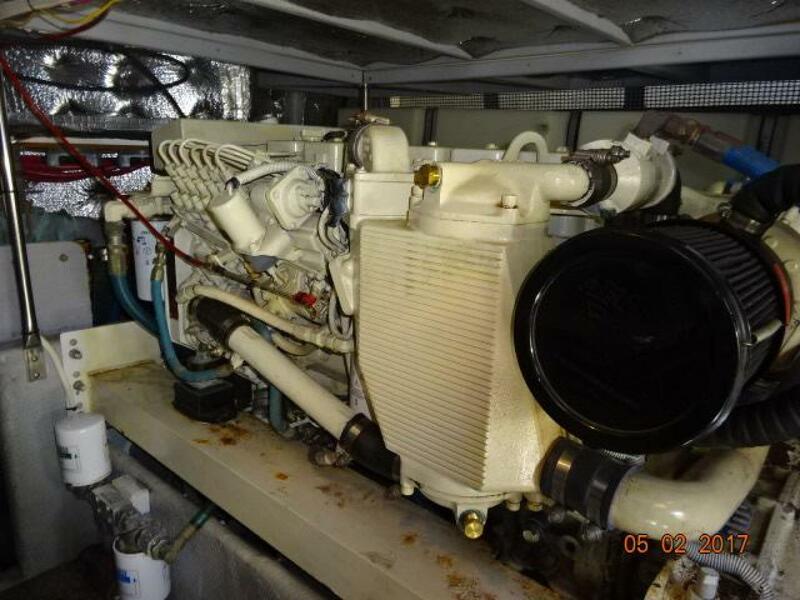 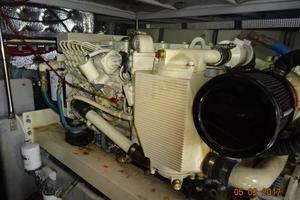 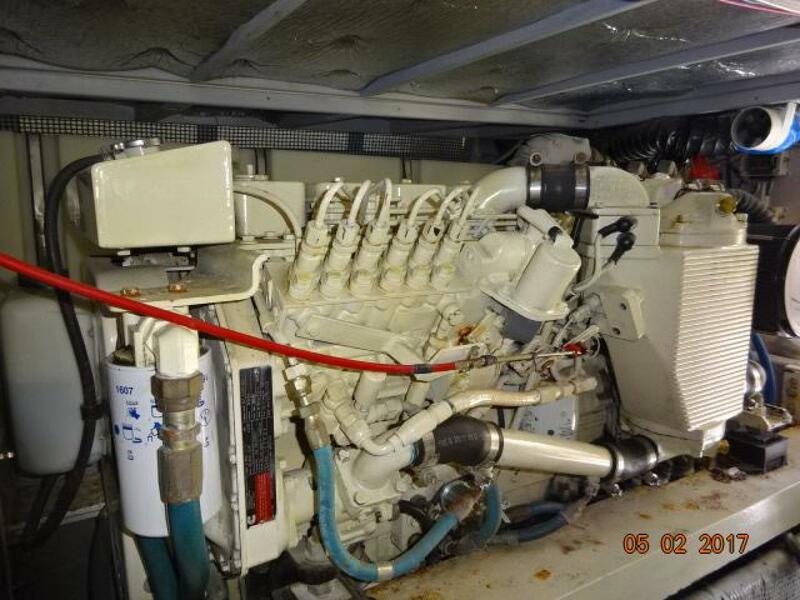 - Twin Cummins 6BTA 5.9-M3 370 hp main engines with Airseps with approximately 905 hours.